Oral hygiene is essential to the well-being of your teeth and mouth. Along with your daily teeth brushing and flossing, it is advised to see a dental hygienist at least twice a year for a dental checkup & cleaning. This procedure is recommended for individuals of all ages, from kids to elders. Over time, plaque and tartar caused by bacteria start to build up on your teeth. 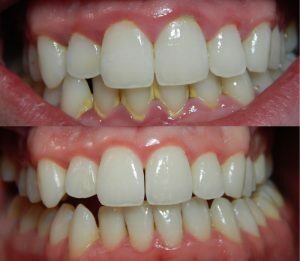 They are not easily cleaned by a tooth brush; they require professional and in-depth dental cleanings to be removed. Even though they are not seen by the naked eye and you might not notice them, ignoring this bacterial build-up might cause severe dental problems on the long run, such as tooth decay and bone loss. During those Hygiene sessions, we also perform a dental check-up, where we make sure that your gums and teeth are healthy and disease-free. 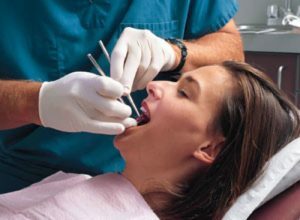 Oral cancer is often detected at very early stages because of regular check-up sessions. It is then easily treatable and reversible. Just like any other type of cancer, it is best to diagnose and treat oral cancer the earliest possible. We highly recommend your commitment to the bi-annually dental check up and cleaning. We will help you plan and schedule your hygiene sessions ahead of time and we will send you reminders to make sure that you’re taking great care of your oral health.